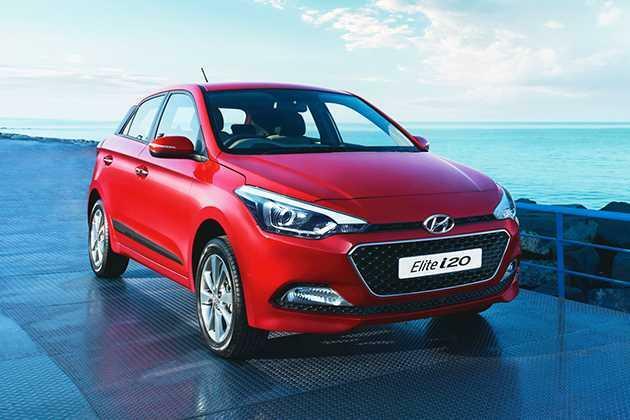 One of the largest automotive brands in India, Hyundai Motors, has entered the new year with the launch of Elite i20's facelift model. The facelift has been done to recover the market share that was hit by competition. In the latest revision, only top end trims have received updates while bottom end trims remain the same. Manufacturer is expecting to regain the customer base with the latest launch where it has got stiff competition from Volkswagen Polo, Maruti Swift and other models. 1.Top rated performance from the motor helps it to beat competition. 2.Passenger comfort raising features for like rear row AC vents and other aspects. 3.Low price tag may help in attracting crowd in its favor. 1.In terms of mileage, the trim stands behind the competition. 2.Safety standards could have been improved. 3.Absence of automatic transmission which the opponents are offering. Superior capacity for engine when compared to the competitors. In the previous facelift, Elite i20 was good but not the best. That's the reason why competitors have managed to advance over it. But, to regain its share now, the manufacturer has come with yet another update for the model available in both petrol and diesel variants where in, Hyundai Elite i20 Magna 1.4 CRDi is a low end diesel variant. This time, the Magna trim has got dual airbags as standard. This raises the safety standards for passengers. Exteriors and interiors remain unchanged against the outgoing model. Taillights on the rear remain the highlight when it comes to exterior styling. The same 1.4L CRDi engine that was used in the old edition is being used here. No infotainment system is offered but, radio and music player for a low end trim is satisfactory. In the latest edition, Manufacturer didn't bless the lower end variant with any upgrades in terms of exterior design. Chrome inserted black front grille looks awesome. Hyundai emblem on the center is striking to the eyes. At the bottom, comes a body colored solid bumper with perforated air breather structure in black. Halogen headlamps on both sides of front grille look great. Getting to the side profile, body colored outside mirrors and door handles are impressive. B-pillar, C-pillar design with black surrounds adds to the overall look. It sits on a set of R14 tubeless tyres that are covered under full wheel caps. On top, it has got the same old short roof antenna that looks stunning. What highlights whole structure is its rear. Taillight cluster looks dashing. Dual tone rear bumper with fog lamps covers the exhaust pipe to build a better view. To enable a better view for the following vehicles, stop lamp is fixed onto rear spoiler. Boot is neatly cut down to raise the character. Dual tone beige and black theme for the interiors is what draws your attention at first sight. Dashboard looks appealing with neatly placed accessories on it. For driver's access, a three spoke steering wheel is incorporated with multiple functions and a dead pedal for footrest. A dual pod digital instrument cluster with blue illumination is adhered for access that displays speedometer, tachometer and other useful information. Front center console comes with storage space under arm rest. For passenger convenience, seats are attached with headrests (adjustable on front row) and back pocket on front passenger seat. 2-Din integrated audio system (Radio+MP3 player) is offered for entertainment purpose. It comes along with 1 GB internal memory, front & rear speakers, tweeters, ports and Bluetooth connectivity. Passengers comfort is taken care of by manual air conditioning, cooled glovebox, power outlets, battery saver and other aspects. 295 liter boot space is not any large but, is quite satisfactory. Under the bonnet, the trim has got a 1.4L turbocharged U2 diesel engine with 1396 cc displacement capacity. It has got the potential to draw power equal to 88.73bhp at 4000rpm with a combination of 219.7Nm torque at 1500-2750rpm. The motor is composed of 4 cylinders and 16 valves that run on dual overhead camshaft configuration. The common rail diesel injection technology helps the mill to achieve 22.54 kmpl mileage. Power train is attached to a 6 speed manual gearbox that supplies power to front wheel. It is built to deliver speeds up to 180kmph while completing 0-100 kmph feat in just 11.9 seconds. Manufacturer claims that the machine is built in compliance with the BS IV emission norms. To build a perfect chassis, manufacturer has linked McPherson strut type with coil spring and coupled torsion beam suspension system with coil spring to front and rear axles respectively. Additionally, these are dressed with gas filled shock absorbers to deliver smooth and impact-less ride. For easy manoeuvrability, a power steering wheel is offered that has a turning radius of 5.2 meters. Disc and drum brakes on front and rear wheels respectively build an effective braking mechanism. 170Mm ground clearance for the body help it to cruise through under all conditions. Manufacturer has offered dual airbags for driver and passenger safety. In addition to that it also has seat belts, power windows, central locking and other such features. Child safety locks for child safety is notable. Maker has also incorporated several other features like electrically adjustable outside mirrors, dual horn, warning system for door and tailgate ajar and engine immobilizer to avoid vehicle theft. Along with these, side impact beams and front impact beams are supplied to keep the occupants safe in case of any untoward incident. There are no considerable changes for this trim. But, dual airbags for driver and passenger safety that are offered as standard is impressive. Hyundai should have worked a little more to improve its engine performance. Also the mileage aspect of this machine makes this a deal breaker for potential consumers as the competitors offer better mileage. Factors which favour the trim are low price tag and extraordinary styling. If you are one of who give importance to styling over mileage at a decent moolah then this is the machine for you.